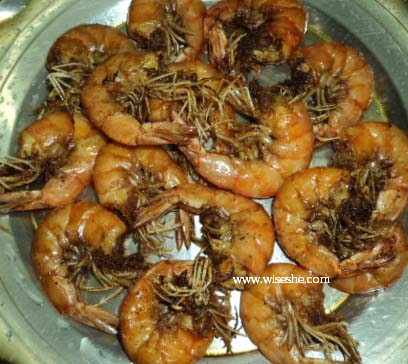 We Bengalis are very fond of eating fish, it is cooked almost everyday in average bong family. 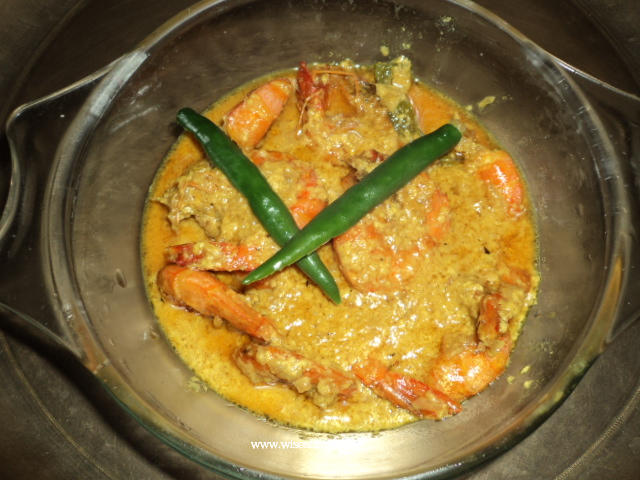 In a marriage ceremonies fish is must serve item.Among the various fish dishes, 2 dishes are very popular among Bengalis: Steamed Hilsa in mustard gravy (bhapa elish / sorshey elish) and Prawn in coconut milk gravy (Chringri macher malai curry). Today lets see how Prawns are cooked in Bengali kitchen.. 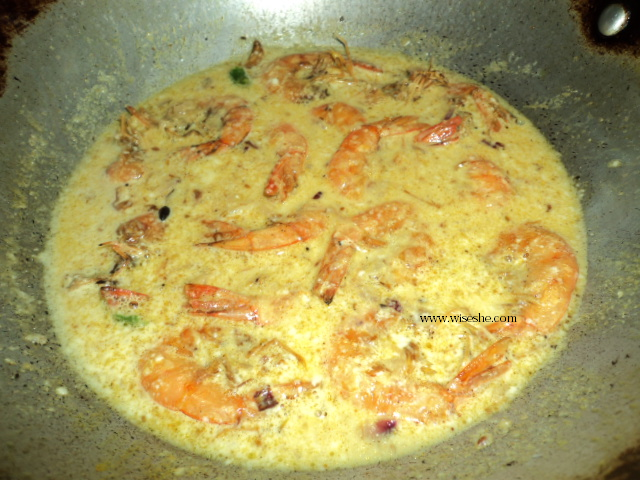 Step 1: # Clean the prawns (remove head carefully without breaking the prawn) and mix it with little turmeric and little salt and keep aside for about Â½ hour. Step 2: Grate 1 full coconut with a hand grater. 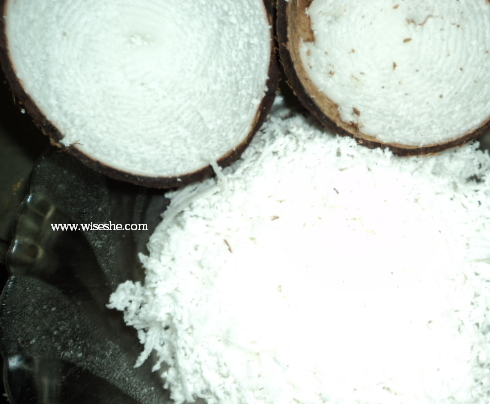 Keep this grated coconut immersed in half a cup of hot water so that good quantity of coconut milk comes out. # Meanwhile grind onion+2elaichi+2laung+1inch darchini to a paste. 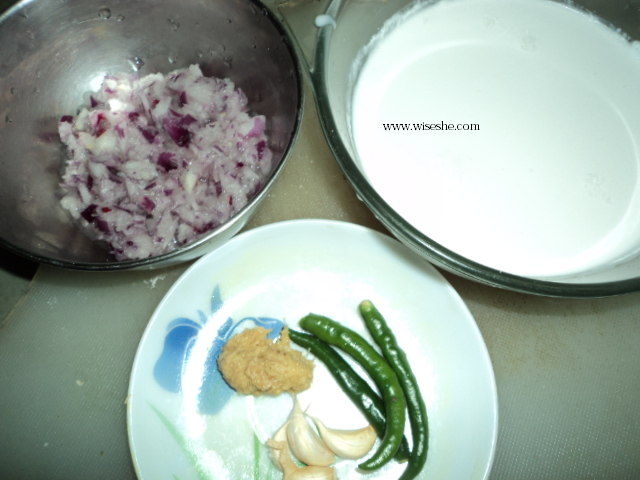 Step 4: # Add the onion paste in same kadai. #Add the ginger paste and garlic and cook the masala. # Stir and add coconut milk. # Add Red Chilli Powder, very little turmeric powder and salt. # Mix well and cook the gravy. u dint know kya, i have been seeing my mom doing it since childhood, you can anyways buy that homemade coconut milk, its equally good..
nopes…coconut milk is not widely used in my home…so didn't know..i buy the market one only. Yummy, this sounds sooo good! 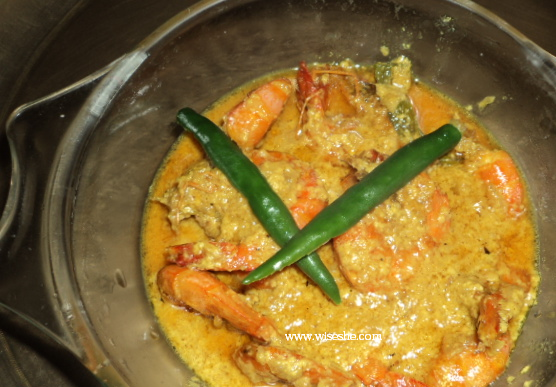 I loove prawn curry! have u tasted this dish?